So, you understand the importance of creating buyer personas. They focus your efforts and enable alignment between sales, marketing, operations and customer service. Creating effective personas is certainly time consuming and challenging. Once completed, however, they serve as leverage in creating content and save you far more time than it took to create them. 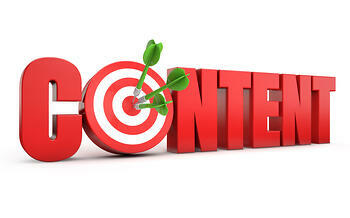 As marketers, it is natural for us to create content for our target audiences. Buyer personas take that natural instinct a bit farther. Buyer personas provide in-depth insights about the individuals we are trying to reach. Everything from simple demographics to how they research the work issues that keep them up at night to the best way to communicate with them are part of their persona. When personas are done well, they should provide marketers with a road map for creating content. The number one thing personas provide content creators is language. Each persona should identify the industry language and terms that resonate with that target. Make sure that whatever type of content you create uses the target persona’s language. Personas can help us create better content in many ways. Here are four. Buyer personas provide great information for creating the editorial calendar for your blog. If you have multiple personas, make sure you are writing blog posts that will resonate with each one of them. Imagine has created three primary personas. Each week, our goal is to write at least one post for each persona. For example, one of our primary personas is Eric Entrepreneur. We have learned that he is a big picture thinker and is very attracted to the idea of predictable, sustainable growth. We write at least one post per week that is directed at Eric. There are many topics that address predictable and sustainable sales growth. Of course, there will be overlap. Sometimes one post may resonate with more than one persona. For example, one of Imagine’s other personas is Victor VP Sales. He is also concerned about growth but in a more day-to-day way than Eric. That doesn’t mean that the posts directed at Eric will not also resonate with Victor. We consider that a bonus! For each persona, you must also consider where each individual is in their buyer’s journey. At Imagine, we break the journey down into four stages: epiphany, awareness, consideration and decision. It is important to create content that resonates with each persona and stage. For those in the epiphany stage, we will create blog content, tip sheets, workbooks, our lead generation calculator…just to name a few. When creating these pieces, we refer back to our personas to make sure the topics are relevant and the language makes sense to them. As a contact moves further down the funnel or closer to the end of their journey, our content becomes more advanced and is again geared toward specific personas. Use your buyer’s journey as another tool to identify different types of content that will highlight your value proposition, will educate them on important issues and will also move them through your funnel. A common challenge you may face is that the people who are closest to the problem you solve may not be the ones who have the authority to change what is being done. So while it’s very valuable that your content resonates with them, it’s not enough to create a bona fide sales qualified lead (SQL). Making matters worse, it’s not uncommon that the person who lives with the problem doesn’t speak the same language that the people who allocate resources do. This is a common problem whenever you’re not selling directly to the C-suite. For example, HubSpot is a master at creating helpful content for their personas. As a marketing manager, I fit into one of their primary personas. Like many other marketing managers, I have spent considerable time trying to convince leadership (within at least one organization) that investing in inbound marketing is worth the investment. HubSpot recognized that marketing managers everywhere are struggling with the same thing. They also recognized that while the marketing managers may be recommending moving to a platform like HubSpot, it is often the CFO that needs to be convinced to actually spend the money. The problem is that marketers don’t naturally speak the language of CFOs. So earlier this month, they posted this: Speak Your CFO's Language: 3 Ways to Explain Inbound Marketing's Value. In addition to that they created an entire kit that allows their marketing persona to “make the sale” to their internal CFO. What a great way to teach their marketing persona how to talk to the CFO about something that could result in a sale for them. It is helpful and relevant to their persona and also valuable to them. Buyer personas shouldn’t be limited to inbound marketing efforts. They can also be used to improve your outbound process. Sales development reps are calling leads that fit into our personas everyday. The information they share and the way in which they talk to them should reflect their personas. For example, if one of Imagine’s reps makes a call to someone that has been identified as an Eric Entrepreneur, they are not going to approach them in the same way they would Morgan Marketing. Buyer personas should be used by everyone in the organization but especially by those who create content. Are you using yours?